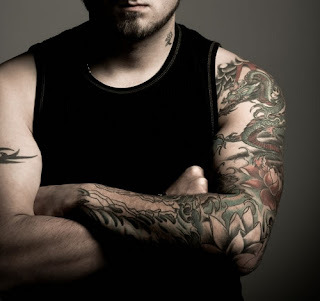 Tattoo sleeve art has always had a negative connotation with society. This sleeve art has been totally made infamous by gangs and mobs, like the Yakuza, and other gangs who just expressed their angst and identities through the use of tattoos. However, because of the growing fashion of the tattoo sleeve art, these negative connotations are slowly disappearing and are instead becoming more of a fashion statement. Tattoos are so very common that it has let its presence felt in both sports and entertainment. Basketball stars show off their shooting, streaking arms decorated with these cool sleeve tattoos. Even wrestling superstars, or entertainers have one time or another, been showcasing their charisma and talent together with these tattoo designs. Like all other tattoo arts range from varieties of design - tribal, Japanese, Chinese, Irish and many more. 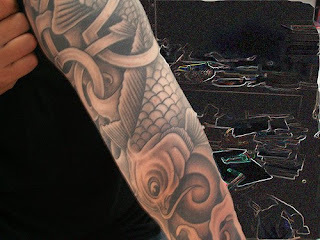 However, very common designs are the Japanese sleeve tattoos, and the tribal art designs. Japanese sleeve tattoo arts are usually the more colorful designs. They range from symbols of Japanese mythology (deities, nature, Buddha and Shinto symbols), animals (the mystic Dragon, the Koi or Japanese carp, phoenix and other mythological animals), sometimes even kanji (Japanese lettering). Figures of Japanese folklore, like samurais and geishas, also appear as tattoo sleeve art.